Should You Get Your Child a Cell Phone? How Young Is Too Young for a Cell Phone? There are so many milestones in children’s lives, like learning to walk, taking the training wheels off their bike, staying home alone, and learning to drive. But to a lot of kids, getting their first cell phone is on the top of their list of great achievements. 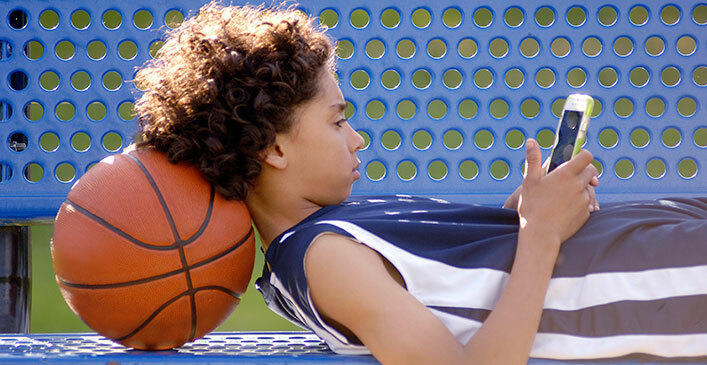 A cell phone can represent many things — responsibility, social status, security, and a way to connect with the world — but how do you make the decision if your child is ready for their own phone? Why Would They Need a Phone? If your child is home alone often due to your work schedule, or is responsible for other children in your home, a cell can be a smart choice for them. It can be used as an alarm clock to wake them to get ready for school, as a reminder to pick up siblings from class at the end of the day, or to indicate when they need to warm up dinner. They can use it to call and check in with you or, if in case of an emergency, they can use it to call 911. It can also act as a homework helper, using it for research online or using apps that help with education. The list of pros may in many cases outweigh the cons. However, allowing your child to have their own cell phone requires a lot of trust between parent and child. With access to the Internet at all times, rules need to be put in place to ensure they are being safe. It’s important you ensure they aren’t putting personal information out for all to see, viewing videos or sites you deem inappropriate, or sharing photos or comments on social media that could lead to trouble. Having frequent conversations about online safety is a must for all young adolescents who may not understand the long-lasting repercussions of their online footprint. Doing random phone checks can keep your kids on the straight and narrow. Once or twice a week, have them hand over their phone so you can search it. You should know all of their passwords to access things they are searching. If they feel their privacy is being infringed upon, remind that you are doing it for their protection. Also remind them who is paying for the phone — chances are, until your child starts to work, the person footing the bill is you. If they show consistently clean viewing and sharing history, then extend your trust and check in less frequently. Perhaps you, like many others, have canceled your landline. If you have a child who is a social butterfly, they might be using your phone all of the time to call or text their friends. In turn, your phone is ringing off the hook at all hours of the day with a child on the other end asking to speak to your preteen — allowing them their own phone can free up yours. Making sure your child understands the value of a dollar is important before you hand over a phone worth hundreds of dollars that has contract attached to it. Not only will you be out a lot of money if the phone is lost, broken or stolen, but you will also be stuck in a contract that is not easy (or cheap) to break. Having your child pay for a portion of the phone itself or part of the monthly bill will show them how valuable it is. Money means a lot to kids, as they have to work hard for it, and it normally comes to them in small increments. So, $20 or $40 a month to them is a lot out of their piggy bank. Using your child’s new phone can be a great bargaining tool as well. If they break the rules, break curfew or disobey, the phone can be taken hostage. Better yet, the charger can be taken hostage. At an age where they may not have toys or treats to take away as punishment, losing their phone will have a big impact on their behavior. Many kids now use their phones as a link to the outside world — gone are the days of knocking on your friend’s door to call on them. Kids would rather text a friend to arrange meeting up, so taking their phone away as a consequence of poor behavior will only happen once or twice before they realize what is expected of them. By the age of 12 or 13 your child is probably mature enough for their own phone. They are of an age that they can be given a lot of responsibility and handle it well. By the time they enter high school, in some school districts, it’s expected they bring a phone to school. Teachers are becoming more and more tech-based as the world of technology evolves. Whether it be to use the cell as a calculator or a handheld encyclopedia, teachers may rely on the convenience of a phone or tablet for their students. You know your child best. If they can care for a sibling or pet, can follow instructions, and value their belongings, more than likely they are already for their own cell. Taking them to the store with you can help you determine what model will work best for their needs as well as yours. Choosing a protective case can allow them to express their style, and to put your mind at ease in case the phone gets dropped. So hop on board the cell phone train and enjoy keeping in touch with your child via text and emoji.